is a 3.5 watt laser enough to cut foamboard? I've been working on a DIY laser cutter. I currently have a simple 3W laser and it is able to engrave and cut foam. I'm still working out how to get the FT plans to cut as they are much larger than my little laser cutter can handle. I’ll be looking at this thread I too would love to find a way to cut out my plans using a home made laser cutter machine. I'm no expert but I'm making an engraver from 2 DVD drives and that's good enough for foam so I presume a 3w or higher is more than good enough. If you're cutting white foam you might have issues with reflection. Edit, looks like I was incorrect on the power, sorry. I’m no expert, I don’t believe you can cut white foam board with a 3w laser. I think you need something like 40w. Like @mayan, I would love to cut out my planes with a laser. My understanding, it’s the color of the foam, not the paper, that is the problem. A 3w laser can cut white paper but not white foam. The needle cutter looks like a great alternative to a laser. Yes the needle cutter looks a great alternative, I've been wondering if one of those battery handheld sewing machines could be adapted or not. I have a laser cutter and I think it is 2.5w, 6mm grey foam no problem but white foam it won't cut. I never tried it on foam board but if it is colored paper you should be fine. I can also cut 5mm balsa no problem but plywood is out. @Merv and @Wildthing any ideas why it's not working on white FB and plywood? Folks I have a couple of 80 w’s & have been laser in for about 19 years now. There is a lot of yes & no’s to these questions. Many want to get into lasers as cheaply as possible... this is an area where you truly get what you pay for. I see a lot of folks try to go cheap as that’s what they can afford... only to have to throw away what they bought or invest in yet more parts & upgrades. Cutting plywood depends on how many layers of ply & glue & what kind of glue is used. I can cut 1/2” ply on one of my lasers but not the other....but again only some types. Similar rules to foam board....chemical/glue involved & the paper used. I don’t discourage those who like to tinker & build... but go into this understanding lower wattage & cheap is not. A great lace to start. Lastly it may be a better option to find someone local who has a laser & cuts commercially... bring your file in & have them cut for you... it can be a lot cheaper. Thanks for the tips @Antioch! what about this also are flite tests plans laser plans or do you have to change them/configure them? That's a 40w laser and compared to eBay you might find cheaper units. Have a look on youtube at the various videos on 40w eBay lasers 1 year on etc. You learn a lot from some of them. Re EBay 40W lasers... have a look at the attached pic... there are a lot of versions of these out there, but essentially most use the same parts & software. Typically they are known as K40’s. 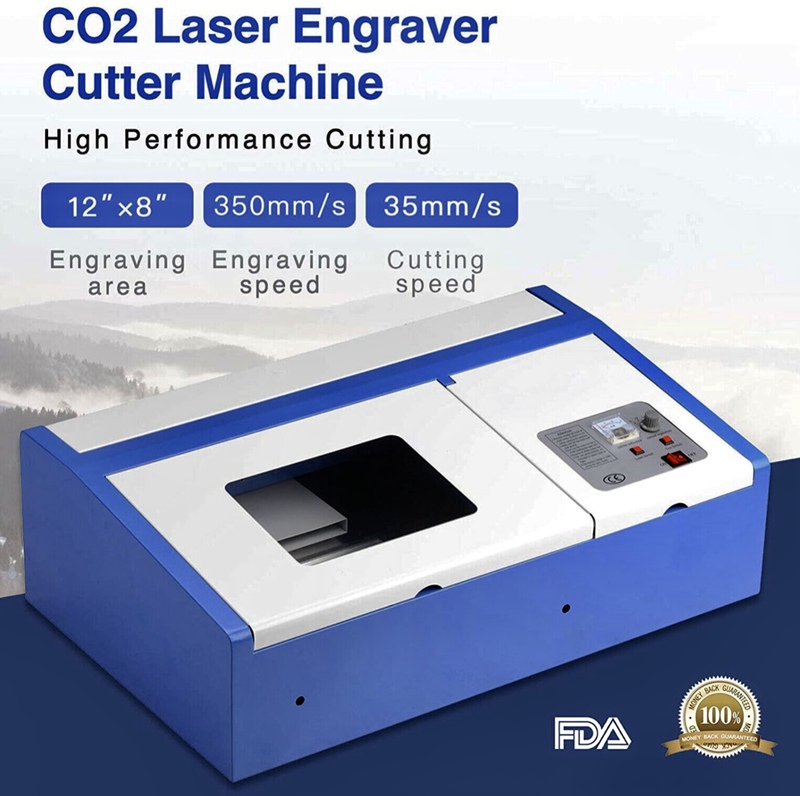 they were designed to engrave rubber stamps.... so ask what software they come with, does the unit have a water cooling system (what kind) & does it have an air system on the nozzle. You will almost need those pieces. So buying those are almost always extras. I haven’t used these myself, but guys with a lot more experience then I suggest passing on them and buying a different unit... particularly with software that will work with PDF, def or svg formats. Chinese companies do many things to just offer a lower price...so make sure you find out what is missing. Not all Chinese lasers are bad...but the K40 ones need a lot of help to be useful. I believe you have to look for one that has a specific type of switch/display on the front. Plan to throw the extractor fan and software away so additional cost there and if you get it without the laser broken you're a minority. Looking at youtube you need 12 months to tweak it as well lol. I've seen good reviews for the dremel one but I suspect it's quite expensive. To be honest, if you're building ft planes and in a country that sells them, you will not beat buying one of their kits. By the time youve set yourself up laser cutting them yourself youve probably got to be cutting out 600 planes before it pays for itself lol. So it is possible to cut white foam with a three-watt laser. By slowing down the laser and increasing the power I'm able to cut through the foam. That being said the cuts look more like burn marks and they tend to be fat lines rather than crisp lines like the ones from Flite Test speed build kits. I'll probably just convert the laser to a hot needle at this point. Umm, I know this guy, who knows a guy. He laser cuts DTFB. It leaves some burn marks on the bottom paper, but he's made it work. He keeps a low profile. If you want, I could drop him a PM and ask for specifics, which I won't understand, but could possibly pass on to this thread. I played a bit with my grey Depron which it cut ok but I really had to play with the settings so the cut wasn't 3mm wide and I got it pretty good but still I wouldn't use it for building a complete plane. White foam would be worse to do, all you are doing is melting a thick line .